Joe Hines is the superintendent of asphalt plants for C.W. Matthews. Editor’s Note: In this controls-themed edition of AsphaltPro, the team from Heatec discusses one solution for monitoring multiple tanks across multiple facilities with a case study at C.W. Matthews Contracting Co. Inc., headquartered in Marietta, Georgia. It is a real challenge for a company with multiple asphalt plants and asphalt terminals to keep track of the inventory coming in and out. C.W. Matthews Contracting Co. Inc. is no different. The company operates 25 asphalt plants and an asphalt terminal in the state of Georgia, and a second terminal in Tennessee. While C.W. 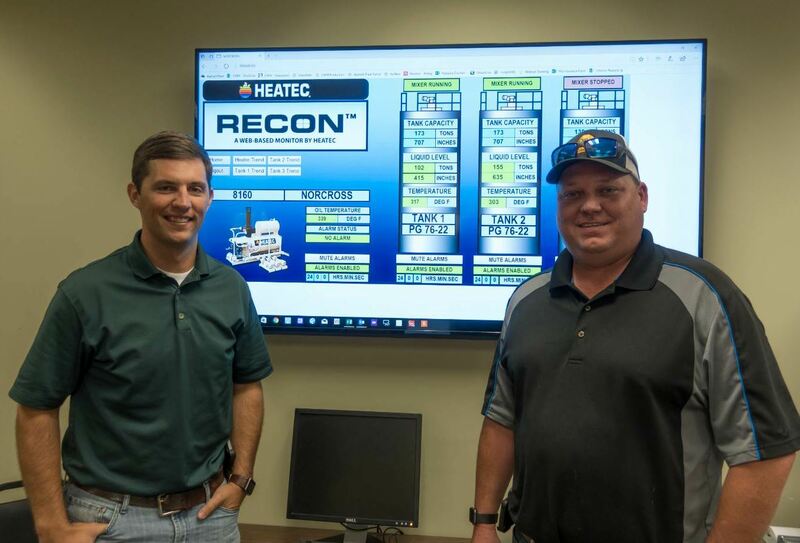 Matthews already had systems in place to manage their numerous plants, they looked to the Recon Central Monitoring System from Heatec, Chattanooga, to make management easier and more efficient. About two years ago, Heatec created the Recon Monitoring System to remotely monitor hot oil heaters and tanks at asphalt plants. One of the key features of the system is that an operator can view the status of the heater and tanks on a smart phone, tablet or PC from anywhere through a web browser. The system will send alerts via email or text messages if there is a problem. Each Recon system is installed at an individual plant and operates independently of another. If you want to survey each of your plants, you have to log in to each plant individually. For companies with a few plants, it’s simply a matter of opening another tab or window in your web browser. C.W. Matthews, however, installed the Recon system at 24 of their plants, making supervision of all their systems possibly overwhelming and cumbersome. That’s where the Recon Central System could help them. It gives management a bird’s-eye view of all plants on a single screen, so they can make sure everything is working properly without having to log in or make a call to different plant locations. Joe Hines (left) and Will Wetherbee (right) spoke highly of the efficiency the Recon system has brought to operations. Another benefit that Hines finds useful is the trending data that is recorded by the Recon system. They are able to use the trending data to find possible inefficiencies or problem spots in the heating system. Each day, they pull the trending data the Recon system provides and they record it in reports they have created internally. Hines trusts the readings from the Recon system. “It’s gotten to the point where, if the Recon system sends an email we believe what the Recon says. We’ve had a couple of heaters show they are in low temp, or they will drop down to a certain temperature and it fires off an email,” he explained. When C.W. Matthews installed the new Recon systems, they discovered areas for improvement. “It was a good operation for us to go through and install these at all of our plants,” Hines said. 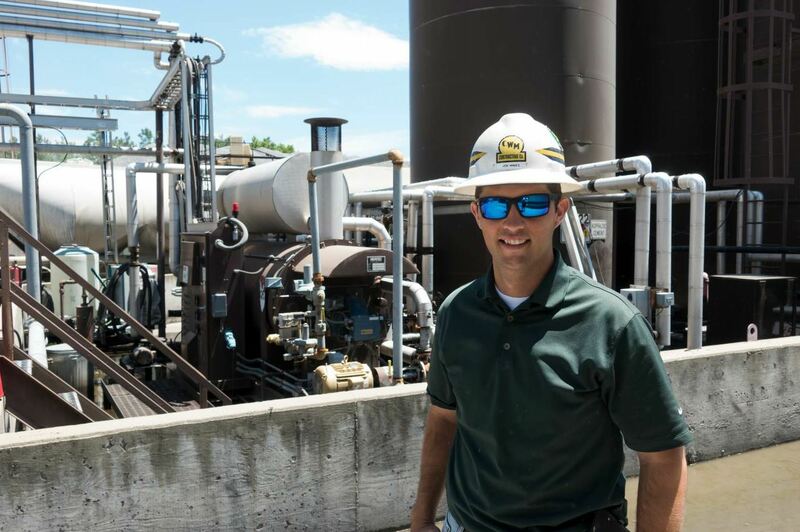 “We were able to develop a checklist to confirm that all aspects of our tank farm were operating as intended. Hines believes the Recon and Recon Central systems are valuable additions to C.W. Matthews’ plants and he looks forward to using it more to aid inventory and operations. For more information, contact Heatec at (423) 821-5200.